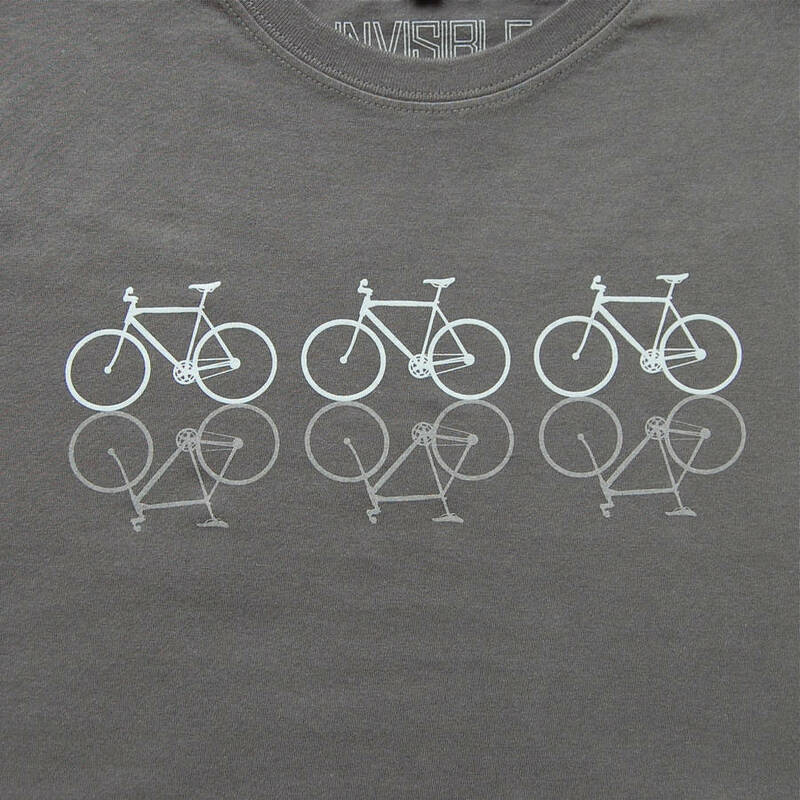 A stylish t-shirt with a clever design depicting 3 cycles and their reflections. Cycle reflections reflect light in car headlights or other bright light. 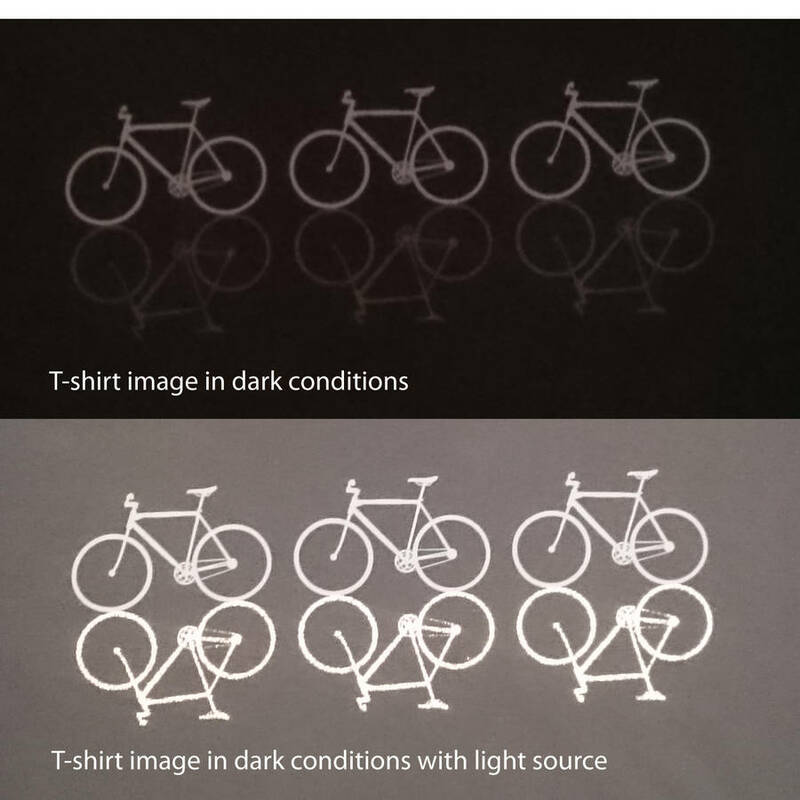 This Cycles t-shirt with reflective print will draw admiring glances in the bar and then attract drivers’ attention on the cycle home with this clever reflective t-shirt. This design will appeal to any bike lover – and you’ll be happy that you’re doing your bit to keep them extra safe! A perfect gift for bike loving sons, daughters, partners or parents. 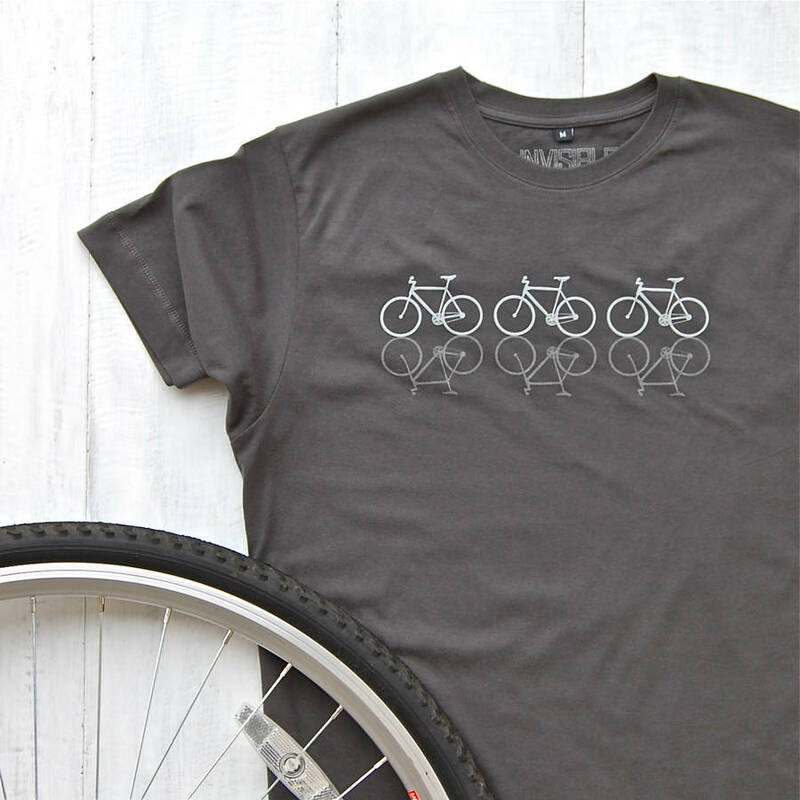 Under normal lighting conditions this design features a subtle grey/green print of 3 bicycles. Their reflections below are printed using a grey reflective ink which reflects light in a strong light source such as car headlights, camera flash or torchlight. Designed here in our studio in Devon, and ethically produced using the finest quality soft, cotton t-shirts. This cool t-shirt is made from 100% cotton which is ethically sourced. It’s high quality and durable but also very soft. Fully machine washable. Do not iron print directly.